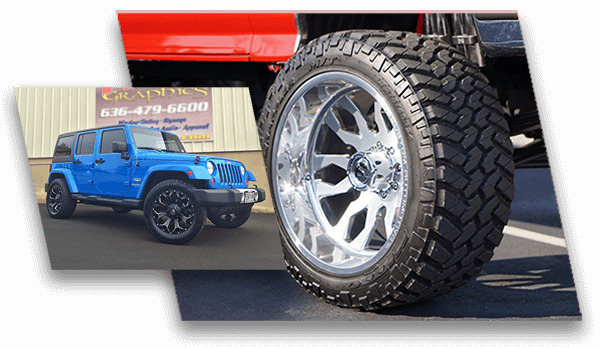 At RHR Custom Automotive, you can expect to find the most respected brands in aftermarket tires and wheels for your vehicle at competitive prices, including Nitto Tires, Toyo Tires, Michelin, Fuel Wheels, Moto Metal, American Force, and more. Inside our clean shop, you can rest assured that we'll care for your truck as if it were our own when it comes to mounting, dismounting, and balancing your new wheels and tires using our in-house tire and balancing machines. "I had a lift, wheels, and tires put on my 2013 Silverado and could not have asked for better customer service. Rob and Katie were both great. The work RHR did was also excellent. I will recommend them whenever I can." Do You Have a Lift or Level Kit Installed?No, I have original factory suspension.Yes, I have a lift kit installed.Yes, I have a level kit installedI'm not sure. Preferred wheel size17"18"20"22"24"26"28"I'm not sure.